There has been a recent trend…and when I say recent, I mean in the last decade….that a lot of companies have opened eateries within Disney Parks. These companies also get to have their brands on the doors and menus to establish that their food is distinctly theirs. The two that I can think of are Starbucks and the Landry’s Inc. Starbucks you are probably familiar with, but not as much Landry’s….at least not at first mention. If you know Rainforest Café, Bubba Gump Shrimp, or even T-Rex at Walt Disney World’s Downtown Disney then you are familiar with Landry’s. The restaurant that is directly in the park that Landry’s operates is Yak and Yeti in Animal Kingdom. As these types of places keep popping up, the question comes up of should they even have a presence in the parks? Disney is known for having some original features, and food is no exception at times. Yes, there are sponsors of attractions, and even exclusive products at eateries, such as Coca-Cola. What I’m more wondering is when a company really has a presence in a Disney theme park. Yak and Yeti is listed on Landry’s website, and the restaurant accepts their rewards program. 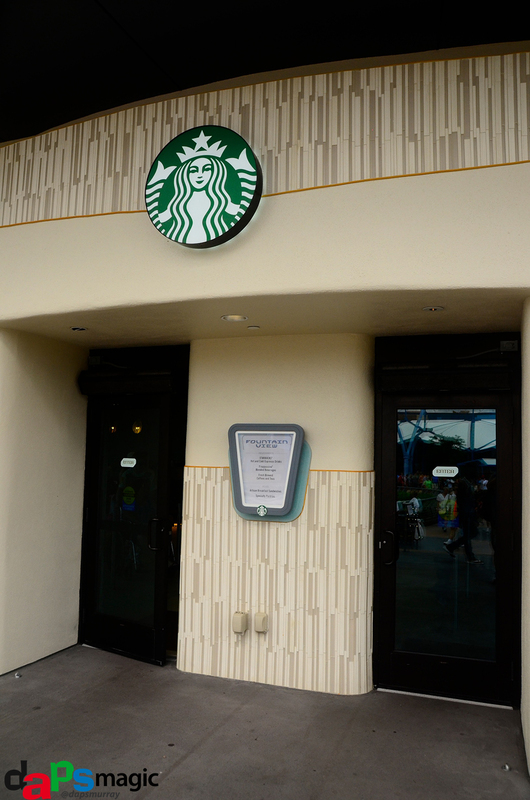 The variously named Starbucks shops in the theme parks are not true Starbucks, but are franchised still. Think having them on a university campus or sometimes grocery stores, where they may accept Starbucks cards, but won’t have the promotions or other features of a regular Starbucks. This is not the only time in Disney history that outside companies have had this kind of presence in the parks. Nor are they the only ones that are around. They’re just the most noticeable and most recent. The other companies that are around are mostly in World Showcase of Epcot. You can most take notice of this because they will not accept Apple Pay at these restaurants. A more noticeable mainstay company is Mitsukoshi at the Japan Pavilion of World Showcase. But, the history of these sorts of things can be dated back to Disneyland’s opening. The biggest example of this was on Main Street. To make it feel like a bonafide street in America, some vendors were brought in to have residence along the entrance to the park. So, it shouldn’t be a surprise that there are outside companies still. But, times have changed, and Disney is a much broader company now, able to supply some of its own needs. Before Starbucks there was Disney branded coffee in the Market House on the Main Street of Disneyland. Animal Kingdom has a great number of Disney restaurants. Why are companies like Starbucks and Landry’s brought in? I don’t know the answer, but I could speculate on at least one. Starbucks is probably the most popular coffee company in the US. There has probably been many a time in the past that Disneyland has lost coffee sales to the drink giant because people would go in search for a ‘Bucks near the Resort. Disney probably optioned the license to make some cash more directly. I don’t know if that’s why, but I could see that happening. I don’t mind having Starbucks in the parks. I was one of those that would grab the drink before heading to the park. I also liked the Disney coffee very much. I haven’t minded the Starbucks as much now. 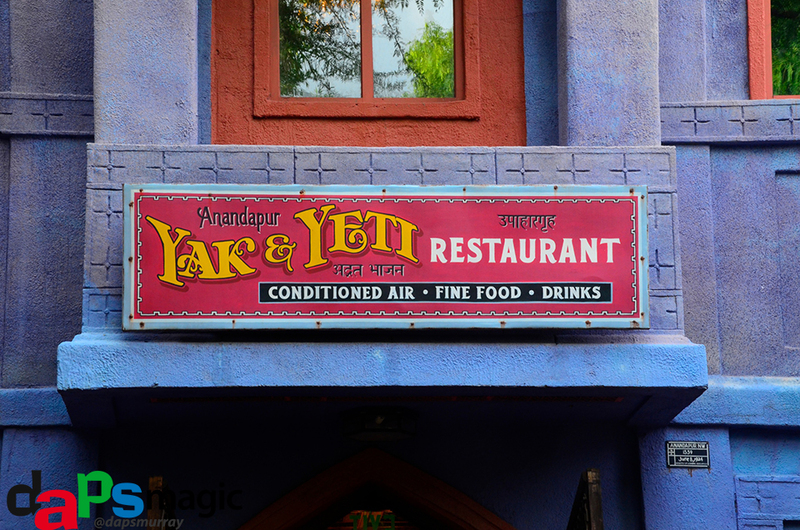 Over in Animal Kingdom, Yak and Yeti is one of my recommendations for the whole Resort to eat at. It’s a great restaurant! But, I hope Disney will limit what companies keep coming in. After a while it can begin to not look like Disney. Being at theme parks like Magic Mountain and Universal Studios Hollywood there are outside restaurants that are barely themed to the environment they are in. Panda Express comes to mind where the sign is way too obvious. Disney has done a good job at “hiding” Starbucks logos. It’s kept with the environment its in. But, it is possible that non-Disney logos would overrun the park if they are not careful. I’m not up for that. What do you think? 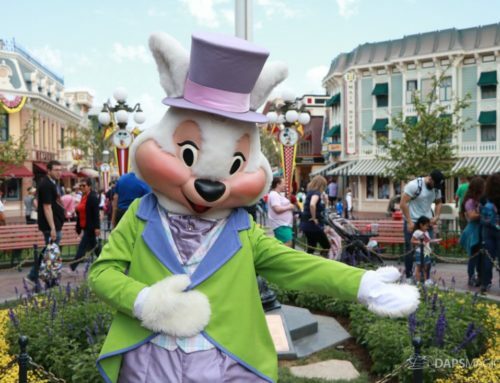 Does there need to be no outside company presence in the parks? Does there need to be more? Let us know in the comments below! Would you be ok with Peet’s or Coffee Bean being in the parks? I personally think it is an ok thing as long as it fits in with the theme/bigger picture of the area an outside company comes into. As I type this I also think even the paper towels/restrooms have sponsorships. Then there are fireworks, attractions, and at times restaurants that have been sponsored (or run) by outside companies. It all comes down to synergy and integration to me. If both of those can happen in a way that enhances the guest experience and magic at a Disney theme park, go for it. If they become obtrusive and change the focus/experience, then things might want to be reevaluated. Right now, I feel like Disney is doing a great job though with corporate synergy with other companies. We’ll see what the future brings!